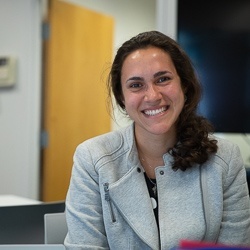 CHDS welcomes intern Sophie Khorasani to the Center this summer. A rising sophomore at Harvard College, Khorasani will be working with CHDS core faculty member Ankur Pandya on assessing the extent to which major clinical guidelines in the United States are consistent with existing cost-effectiveness evidence. Khorasani has spent the past year and a half working as a Research Assistant at the Harvard Kennedy School and at the Harvard Decision Science Laboratory, and she has also previously worked in Harvard Genetics and Molecular Biology labs. Learn more: Visit the CHDS page about cost-effectiveness analysis here.